We believe nothing is more important in building a fast-growing, successful business than getting the right people on the team – and quickly — and aggressively leverage our networks to help build these teams. Our Principals have introduced more than 50 executives, team members, and key contributors (well-known to us and longstanding in our networks) to the companies who have chosen to work with them. In partnership with outstanding management teams, we leverage our networks to directly drive revenue (and the resulting value-creation). At more than 75% of attributable portfolio companies at our current and prior firms, our Principals have leveraged deep industry relationships and strategic investors to tangibly drive value creation. 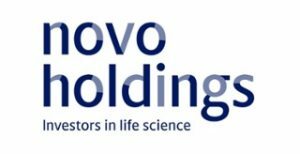 Established in 1999, Novo Holdings is the holding company of the Novo Group and manages the Foundation’s investment assets. Bedford Funding is a private equity firm providing long-term capital to businesses in the consolidating and fragmented technology industry with experienced industry focus in the software and IT services segments. With proven success as operating executives, the firm’s leadership team has a keen understanding of the opportunities inherent in technology enterprises. Bedford Funding was founded in 2006 with launch of its initial fund, Bedford Funding I, and recently raised Bedford Funding II in December 2011. Bedford Funding makes investments worldwide from its headquarters located in White Plains, New York. For more information, please visit the company’s website at www.bedfordfunding.com. Heritage Group is a Nashville-based, venture capital firm with over 30 years of experience financing and operating healthcare companies at all stages. Created by a diverse group of the nation’s leading healthcare services firms, including Amedisys, Inc., Cardinal Health, CHE Trinity Health, Community Health Systems, Health Care Service Corporation, Intermountain Healthcare, LifePoint Hospitals, Memorial Hermann Healthcare System, Tenet Healthcare, and UnityPoint Health, the Heritage Healthcare Innovation Fund is a $167M strategic initiative focused on investments in businesses that improve the delivery of healthcare services. For more information on Heritage Group, visit www.heritagegroupusa.com. Sentara Healthcare is an acknowledged leader in patient safety and quality innovation. Founded in 1888 as the Retreat for the Sick in Norfolk, Virginia, Sentara has ranked for more than a decade among the nation’s top integrated healthcare systems by Modern Healthcare magazine and was the #1 most integrated healthcare system for 2 years consecutively in 2010 and 2011. Sentara, a not-for-profit health system, operates more than 100 sites of care serving residents across Virginia and northeastern North Carolina. The system is comprised of 10 acute care hospitals, including 7 in Hampton Roads, 1 in Northern Virginia, and 2 in the Blue Ridge region, advanced imaging centers, nursing and assisted-living centers, outpatient campuses, a home health and hospice agency, a 3,680-provider medical staff, and 3 medical groups with 618 providers. Sentara also offers medical transport ambulances and Nightingale, the first air ambulance serving Hampton Roads. Optima Health, an award winning Sentara owned health plan, serves more than 450,000 members in Virginia. Serving patients and their families in more than 100 Northern California cities and towns, Sutter Health doctors, not-for-profit hospitals and other health care service providers share resources and expertise to advance health care quality and access. The Sutter Medical Network includes many of California’s top-performing, highest quality physician organizations as measured annually by the Integrated Healthcare Association. Sutter-affiliated hospitals are regional leaders in cardiac care, women’s and children’s services, cancer care orthopedics and advanced patient safety technology. Kayne Anderson Capital Advisors, L.P., founded in 1984, is a leading independent alternative investment management firm focused on niche investing in upstream oil and gas companies, energy infrastructure, specialized real estate, middle market credit, growth private equity and distressed municipal opportunities. Kayne’s investment philosophy is to pursue niches, with an emphasis on cash flow, where our knowledge and sourcing advantages enable us to deliver above average, risk-adjusted investment returns. Kayne manages approximately $24.5 billion in assets (as of 10/31/2013) for institutional investors, family offices, high net worth and retail clients and employs 230 professionals in eight offices across the United States. The Social+Capital Partnership (“Social Capital”) is a partnership of philanthropists, technologists and capitalists utilizing venture capital as a force to create value and change on a global scale. The Partnership is based in Palo Alto, California.